Health at Every Size and Intuitive Eating with Robyn Nohling | Nutrition Coaching | G & G Nutrition Co.
Hey friends! 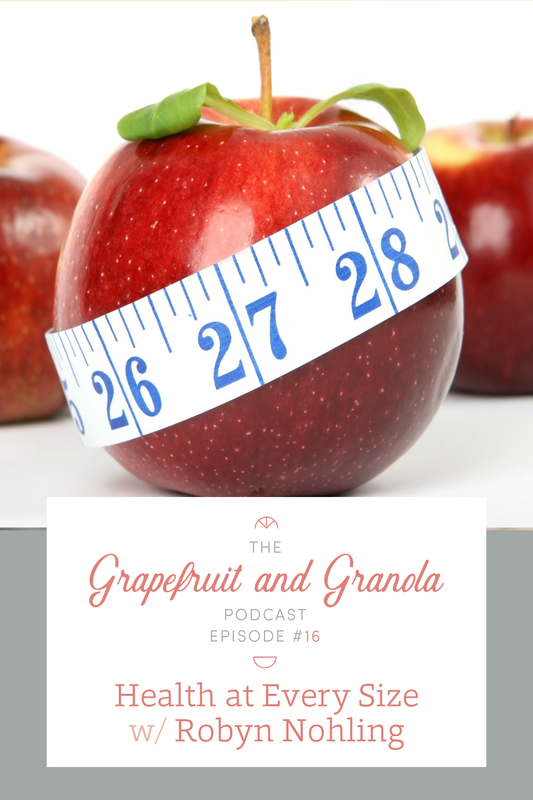 I’m so happy to be back with SEASON 2 of The Grapefruit & Granola Podcast! You are going to LOVE this season- I have really expanded on the area of wellness for season 2. So last season I interviewed mostly dietitians, and this season you’ll hear more of a mix of all sort of wellness professionals. We’re going to chat about everything from nutrition to mental health to relationships to even financial health. I’m really excited to kick things off with today’s episode, which is episode 16. You may know Robyn from her popular blog, The Real Life RD. We were able to chat about health at every size and intuitive eating for this week’s podcast episode! 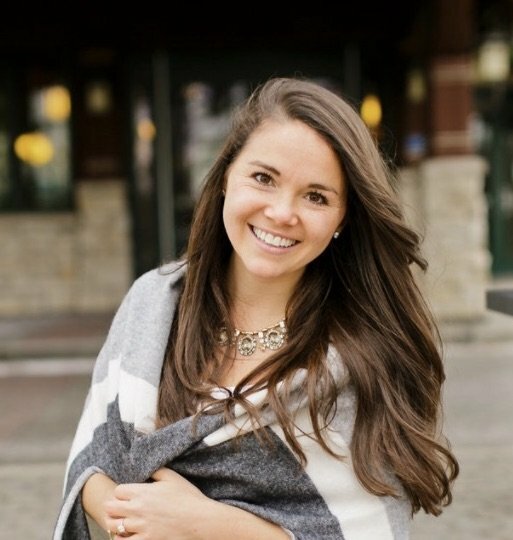 We start out the podcast interview by having Robyn walk us through her early career as a registered dietitian and how she went through the process of going back to school to become a nurse practitioner. Intuitive eating and health at every size framework. Did Robyn receive any nutrition education in nursing school? As Robyn was completing her Master’s of Nursing, which allowed her to become a nurse practitioner, she did not receive any nutrition education in school. She also discusses how other providers such as medical doctors and physician’s assistants do not receive much nutrition education either. We discuss how this doesn’t make much sense since nutrition and health are so intertwined. 2.) Our healthcare system is unfortunate because our medical system is built like a business. Insurance companies do not reimburse for spending quality time with patients. It’s a lot easier to spend 15 minutes with a patient and then write them a prescription. You really need SUPPORT from ancillary staff, such as dietitians, to help you feel supported. HAES is a weight-neutral paradigm. It’s not saying that everyone is healthy at every size. It does mean that people can be healthy at a variety of sizes. It really has broken down this cultural assumption that we have that a larger body means that you’re less healthy. There conclusive research decoupling the association between weight and health. “Health at Every Size” is working to take the focus off of weight and instead encourage people to focus on health-promoting behaviors. Intuitive eating: Robyn explains that intuitive eating is bridging body knowledge with head knowledge, and making food choices based off internal cues and wisdom. Do you don’t eat according to diet culture and external cues. 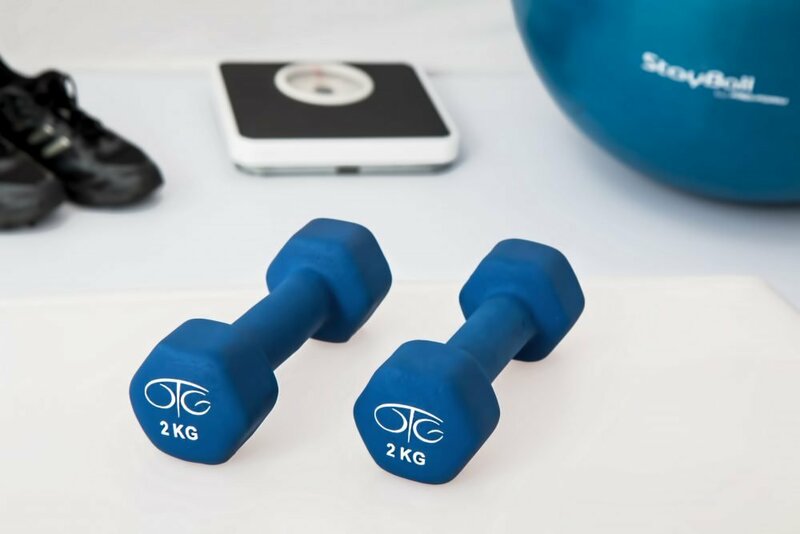 Physical activity: moving in a way that actually enhances your health and vitality and brings you joy, instead of moving in a way to burn calories or trying to carve your body into a certain shape. The latter actually doesn’t improve your health. That can actually make you mentally and emotionally very distressed. Mental/Emotional Health: Physical health is so important but so is emotional health. How do you manage stress? How do you care for yourself as whole person? mentally, socially, spiritually, etc.? Sometimes people think HAES is saying, “do whatever you want”. That’s not the case. We want you to be healthy, but we want it to come from a place of freedom, not from a place of fear, rigidity, rules and restriction. Robyn sums up the explanation of Health at Every Size and Intuitive Eating as turning up the dial on what your body is telling you, or those internal cues, and dialing down all of the external, diet-related cues. Think about all of the things that go into your health. Usually this is muddled down into exercise and food. In reality, a lot of our risk of chronic disease is associated with stress. There are multiple things that cause us stress… self-esteem and self-efficacy have a profound impact on how we care for ourselves. your own values and respect for yourself actually can physiologically increase your cortisol levels (your body’s stress hormone- that can raise your blood sugar, messes with your appetite, surpasses your immune system, and can lead to cardiovascular disease). Sometimes we’re so focused on what we’re eating and how we’re moving our body. So if we consider the psychological impacts of making certain choices related to eating and exercise, it really helps us expand the way we view health decisions. If you get really rigid with your eating, and following a specific eating plan brings you a lot of psychological stress, distress or can be socially isolating, then that is actually NOT a healthy way of eating for you. That is actually causing more unhealthy physiological impact for you. If someone is in a larger body and wants to be healthier, where should they begin if their doctor constantly tells them they need to lose weight? Robyn explains that this is called weight stigma- giving different advice to people in larger bodies. If you go into the doctor with strep throat, someone in a larger body should be getting the same advice as someone in a smaller body. Robyn recommends skimming some of the topics and beginning to integrate the ones that resonate with you. Intuitive eating is for everyone, but you need to get creative with it if you have a chronic disease (again, combining head knowledge with body knowledge). You can definitely still eat in a way that feels physically nourishing and satisfying but still helps to manage your chronic disease. Many ladies with PCOS are just told to lose weight and/or given metformin. So I asked Robyn what her thoughts are on advice for these ladies. Robyn says diets are the most destructive things you can do to PCOS, especially a low carb diet. When someone has PCOS, they are usually dealing with an element of insulin resistance. If someone is already having sugar cravings and you put them on a low carb diet then you are going to drive them insane and also cultivate a cycle of self-shame and guilt. Many with PCOS live in larger bodies; they already have enough shame and guilt around their body size and we don’t need to perpetuate that with weight loss. Even weight loss that show positive effects of weight loss in terms of lipid levels, blood sugar, fertility, etc. has only been shown for 1 year. We don’t know what that look likes long-term. Robyn recommends checking out the dietitian Julie Duffy Dylan who specializes in PCOS. Robyn is a non-diet Registered Dietitian, Registered Nurse and Board Certified Family Nurse Practitioner. In addition to her group private practice Real Life Women’s Health, blog (The Real Life RD) and NP job, Robyn launched an online learning center in 2017 to both educate other practitioners and empower women to advocate for their own health and healing. In both her RD and NP practice, Robyn works through the Intuitive Eating and Health At Every Size framework to help women heal from hormone and period problems and find peace with food and their bodies. When not working with patients or clients, she can be found exploring Boston with her husband, drinking a respectable amount of coffee, or oversharing on social media.